The American Heart Association has reported that up to 16,000 children and teens are stricken by sudden cardiac arrest (SCA). What’s even more devastating about that figure is that many of the resulting deaths could have been prevented had the parents and even medical professionals recognized the warning signs or risk factors present in the youth. Sudden Cardiac Arrest (SCA) is a life-threatening emergency that occurs when the heart suddenly stops beating due to an abnormality in its electrical pulses. It strikes people of all ages who may seem to be healthy, even children and teens. SCA warning signs were present in as much as 50% of SCA cases, but were either ignored or unrecognized by individuals surrounding each situation. Parents, children, school staff, and adults that work with children should be trained in recognizing signs of SCA and seek medical attention when they occur. Unexplained death of a seemingly healthy family member under age 50 or a family history of sudden unexplained death of an infant, drowning, or a motor vehicle accidents where there is no explained cause. Why are warning signs and risk factors missed? The American Academy of Pediatrics notes that symptoms of a potential heart condition are often missed because of a lack of attention focused on warning signs and risk factors. Adults assume that if kids act OK they are OK. Health history forms and cardiac risk assessments are typically processed by parents without involving their youth—when these questions could be the most important ask they’ll ever make. Without this interaction, kids may never know that what they’re experiencing is not normal, or that it could be serious. Student athletes especially are taught to push their bodies, so a physical condition that seems to be holding them back is often ignored, or misinterpreted as a weakness that needs to be overcome. The result is that parents “just check the box” and primary care practitioners do not conduct the recommended 14-point cardiac risk assessment during well-child checkups or pre-participation physical evaluations for sports (PPEs) that could uncover something a parent and youth missed. 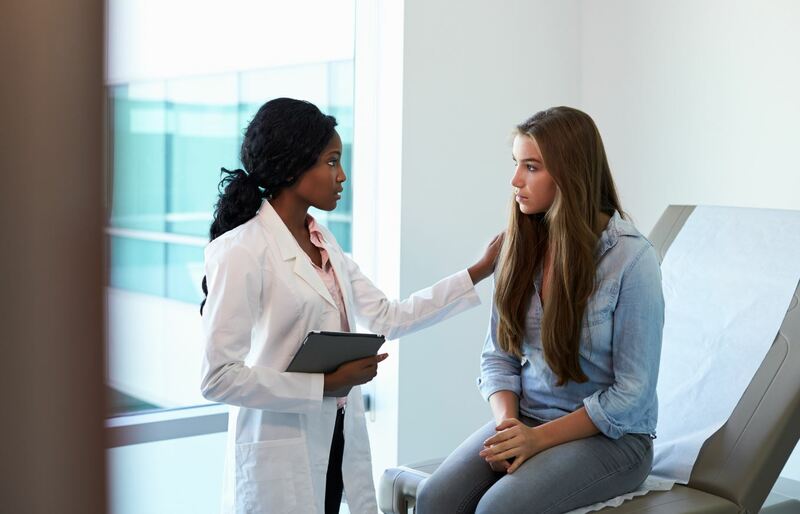 If your child or student athlete has any of the warning signs or risk factors for sudden cardiac arrest, make an appointment with your pediatrician as soon as possible and ask for follow-up diagnostic testing, such as an electrocardiogram or an echocardiogram. Tests should be read by a medical professional proficient in the interpretation of these tests in youth. The more people aware of SCA warning signs can be the difference between life and death.